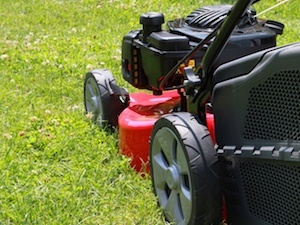 It’s no secret that lawn maintenance is a top priority for many Ohio homeowners. Yet, as a survey from the National Association of Landscape Professionals indicates, many Americans lack knowledge about what it takes to keep lawns healthy and lush. Take the watering of lawns as an example. According to the survey, nearly 32% of Americans admit they don’t know how often a lawn should be watered to maintain its quality. Whether it’s under watering or over watering—the latter of which leads to water waste—lawns will become more susceptible to disease and damage that could otherwise have been prevented. Let’s take a look at some of the most common mistakes in lawn maintenance and the right practices to use in their place. When it comes to the frequency of watering lawns, the tendency is to do more versus less. While the intent is to help grass grow faster, too much water can ultimately sideline these efforts by robbing the soil of the air it needs to thrive. What many homeowners don’t realize is that most lawns require just an inch of water per week. The application can be performed in a single session or divided into two sessions, with anytime before 10 a.m. being the ideal time frame so as to prevent evaporation. The clean, crisp appearance of short lawns may be appealing to homeowners, but it comes with a price. Mowing at too low of a height can cut into the stem of grass and drain it of stored energy that helps ward off issues like weeds, pests and disease. At any given time, just the top ⅓ of grass blades should be cut to support a deeper, healthier root system. Leaving behind grass clippings from each cut is also recommended as this feeds nutrients back into the lawn that promote further root growth. Just because soil looks healthy doesn’t mean that problems aren’t lurking beneath the surface. The soil may suffer from nutrient deficiencies, or perhaps the pH level has risen to a point where nutrients aren’t readily available to grass. With soil tests, problems that would otherwise fly under the radar or leave homeowners in a guessing game are brought to light. Performed at least once every three years, these tests assess various levels of nutrients in the soil, as well as pH and acidity, to determine where the appropriate adjustments should be made to boost overall health. Soil compaction can result from any number of elements, from the added stress of foot and vehicle traffic to the already poor nature of a soil’s composition. Regardless of the underlying factors that push soil particles closer together, the end result is the same: less space for air, water and nutrients to reach root systems. By perforating small holes in soil—a lawn care technique known as aeration—lawns are able to regain their ability to breathe and absorb the nutrients they need to thrive. The best time to aerate lawns is in the early spring to help prevent weeds before they sprout or in the early fall to help grass grow thicker and healthier come spring. Fertilizing is one of the most effective ways to nourish lawns. But when it comes to what fuels the growth of deep roots and strong grass, timing is an important piece of the puzzle. For instance, applying fertilizer at the height of summer can actually cause stress to lawns and potentially burn them. That’s why this practice is best limited to the early spring (once temperatures are 55℉) and late fall (6 weeks prior to the first frost). Of these two seasons, fall is the most important time to fertilize—with two treatments recommended—as the fertilizer will remain active through early spring, helping lawns wake up thick and green.